Over 500 million hours of videos are watched on YouTube every day. Cisco has predicated 82% of internet traffic will be from video in 2021. Video editing software isn't just for movie producers anymore. Both hobbyists and businesses use video to show off their interests and highlight their business. In fact, Aberdeen Group found video marketers get 66% more qualified leads per year. 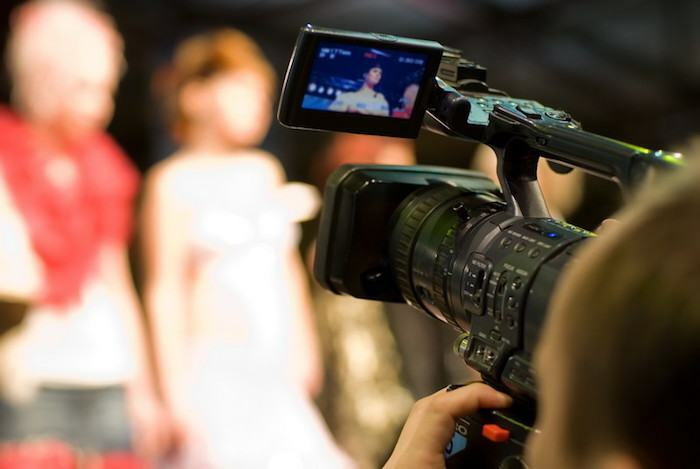 Here are 10 great video affiliate programs, and don't forget that video could also include things related to photography, editing software, animation, or even tools to promote your business. Pinnacle is the #1 selling video editing software and hardware company. Their award winning video editing software is ideal for professionals, consumers, hobbyists, and businesses. Their flagship products, Liquid and Studio, lets users edit, enhance, and share their videos. Affiliates can sign up for the Pinnacle affiliate program with Commission Junction or Cleverbridge. Both programs give affiliates access to free content, product links, appealing banner ads, real time tracking tools, and data feeds. They also provide quarterly refreshed promotions and monthly newsletters with launch information, and content affiliates can re-purpose. Affiliates can earn increased commissions from 16 up to 20% or higher for monthly sales of $500-$5000+. Animoto is an online video editor that makes it easy to create professional videos on the web or on the go. They believe making video shouldn't be limited to only those with technical know-how and expensive equipment. They create products that are fun, cost-effective, and effortless to use. They use ShareASale to manage their affiliate program. Animoto gives their affiliates access to banner ads, links, logos, and reporting tools. Their program is professionally managed by Acceleration Partners, who are happy to answer any questions and offer suggestions. They are a great product to promote to viewers without any video editing experience. Coolix is a leader in video engagement which enriches content and drives more engagement. Their platform, built-in templates, and other tools help advertisers and owners create and test interactive videos including shoppable videos, live streaming, lead forms, and more. They are used and trusted by Nestle, McCann, Leumi Card, and other top businesses. Their affiliate program is run on ShareASale. Coolix provides their affiliates with all the creative and marketing tools they need to get started. Affiliates can also promote their 14 day free trial that lets users test out their features before buying. Affiliates earn an incredibly high $100 flat fee per sale. Zoom Video offers the best video, audio, and screen sharing experience. Their reliable and easy to use platform can be used for webinars, collaboration, conferencing, or group messaging across desktops, telephones, room systems, and mobile. They were named the 2018 Gartner Peer Insights Customers' Choice for Meeting Solutions. Affiliates can sign up by searching for Zoom Video in the advertisers search bar on Rakuten Marketing. They offer a variety of link types including banner, product, store fronts, and a search box. Affiliates can also create their links that just need to be approved before use. Affiliates earn a high $75 flat fee no matter what items their visitors end up purchasing. Magix has been developing innovative video, photo, and music solutions for over 20 years. They acquired most of the Sony Creative Software in 2016 which launched the Vegas Creative Software product line. They have won over 1000 awards for their creative software and have over 15 million happy customers worldwide. Their average basket size is $100 with a cancellation rate under 3%. Magix & Vegas Creative Software has partnered with Commission Junction to manage their affiliate program. Affiliates can utilize their performance-oriented marketing materials to help them increase conversion rates. Affiliates earn 20% on software sales and 30% on subscription based software sales. Wedit helps couples capture their special day on a budget with their DIY wedding videography services. They send each couple 5 HD cameras for their friends and family to capture every moment. All the footage is stored online to make it easy to share and download. They also offer professional editing services for an additional charge. They use ShareASale to run their affiliate program. Wedit provides their affiliates with great marketing tools and content like banner ads, text links, and sample videos. Affiliates can promote their great services such as automatic video transfer, a personal video site, and one year of free video hosting. Their package is priced at $374, so affiliates earn around a 14% commission with each sale. Adobe creates the world's best creative apps including Adobe Photoshop, Illustrator, and InDesign. Adobe Premiere Pro is the industry leading video editing software. It helps turn raw footage into flawless productions. Users can edit, refine, adjust color, and more from one integrated workflow. They have partnered with arvato Bertelsmann to manage their affiliate program. Adobe gives their affiliates access to a wide selection of ready to use marketing materials and exclusive promotions. Affiliates can quickly enhance their marketing efforts with their product level, daily updated reporting tools. Be sure to check out their full product list to learn more about specific commission rates. Corel is one of the top software companies in the world. Their communities span over 100 million people in 75 countries. Their award winning video editing products include VideoStudio Pro, VideoStudio Ultimate, and MotionStudio 3D. Affiliates can join the Corel affiliate program with Commission Junction or Cleverbridge. Corel makes all the artwork used in their large variety of content and banner ads. Affiliates can share their links/banners on their website, newsletter, emails, and even on discussion forums. Affiliates also have access to exclusive promotions and deals to use themselves and for their visitors. Movavi developed high quality video editing software for PCs. Their digital aficionado founders wanted to make video editing as simple as brewing a cup of coffee. Their products have been positively reviewed by PC World, Yahoo!Tech!, CNet, and many others. They have a growing audience of over 8 million people in over 95 countries all around the world. Their affiliate program is run on ShareASale. Movavi provides their affiliates with complete marketing kits for each product that includes screenshots, box images, and short descriptions. They also offer bonuses for top performing affiliates. Vimeo was started in 2004 by a group of filmmakers who wanted an easy and beautiful way to share their videos with their friends. They have since grown into a community of 80,000,000 creators. Their available features include unmatched quality, video management, immersive 360 video, high quality live streaming, collaboration, and much more. Affiliates can sign up for their affiliate program by searching for them in the advertisers section of Commission Junction. Vimeo started their affiliate program to help add to their growing user base of millions of people from around the world. Affiliates have access to all the marketing materials and tools they need on their affiliate dashboard. Their post-product features also include video review tools as well as integrations with Adobe Premiere Pro, Final Cut Pro, and more. Now that you've read about 10 great video affiliate programs, it's time to choose what niche you want to focus on. You could target video editing software. Pinnacle is the #1 video editing software company. Affiliates earn 10% commission on sales. Another niche idea is interactive video platforms for marketers to help promote their businesses. Coolix is a leader in video engagement tools that are trusted by major brands like Nestle. They offer a flat $100 fee per sale. You could also target diy wedding videography. Wedit makes it easy to capture every moment with diy wedding videography services. Affiliates earn a flat fee commission of $50.